Routers play a very crucial role in getting access to the internet. They act as a medium between the user and the servers to send and receive data. Many People were facing problems regarding Belkin router login. 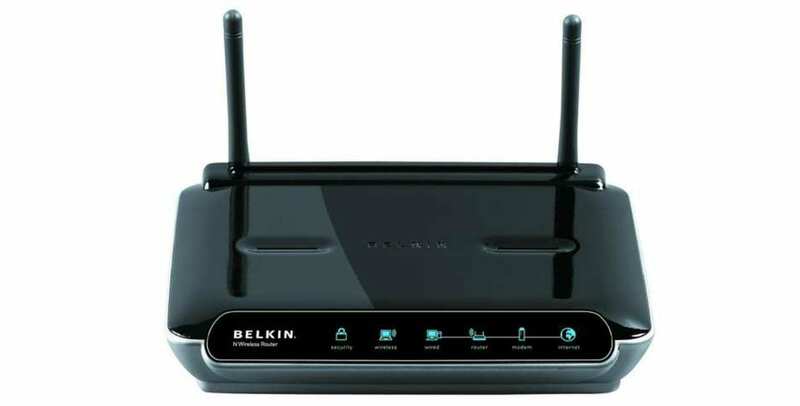 So in this article, we have provided you the best way to login into Belkin wireless router using default gateway which is 192.168.2.1 (Default IP address), As It’s Impossible to Troubleshoot the Router Without Accessing Belkin Router Dashboard. How to Reset Belkin Router to Default Settings (192.168.2.1)? Before getting started with Belkin router login process there are a few things you need to keep in mind. First, you need to have some wired or wireless connection as you won’t be able to login unless you are connected with the router. Second, you need to have its website or the IP address which will help you in accessing Belkin Setup console or you can’t be able to perform Belkin router login. Its pretty obvious. If your pc is not connected with the router you won’t be able to log in into the Belkin router and hence resulted with no Belkin router login. So first step is to set up the connection between the Belkin router and the pc using Ethernet cable as shown in the figure below. Then open your favorite web browser and enter the default gateway for Belkin router login. Default Gateway for Belkin router – Every router has its some default gateway which means default IP address. This lets the user access all the functions of the router such as changing wifi password, limiting user access and much more. 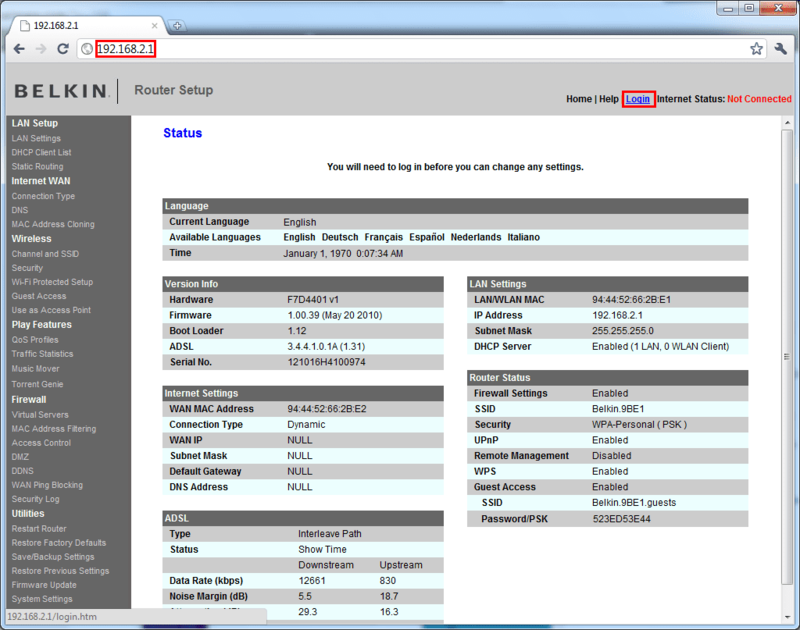 In this case, 192.168.2.1 is the default IP address of Belkin router. it is also known as Default Belkin Ip. All you need is to type this IP address 192.168.2.1 in the URL section of your web browser and hit enter. After doing that a Pop Up will flash on the screen asking For Username And Password For Belkin Router Login. Then Press Ok and You Should Be Logged in to Your Belkin Wireless Router. you will end up with this type of webpage which is a setup console of the Belkin router and now you can perform as many changes you want. Few more things to keep in mind. If you are facing an error while accessing the web address 192.168.2.1, then you need to clear your browser cache first and try again. It will work. Try to use URL box which is right above the search bar. Use a different browser if still facing issues. In Case If you still get any Problem Accessing Your Belkin router than We Recommend You to Reset Your Belkin router to Default Factory Settings. As a last option. Conclusion- So this was all about on How to Login into Belkin Router. Using 192.168.2.1 as a default gateway Working in 2018. If you found this information useful let us know in the comment section below. Would love to hear that. Filmywap 2018: Is Downloading from Such Sites Legal?